Prime Minister Dean Barrow has announced that following negotiations in Miami, Carnival Cruise Lines has backed down on implementing policies that could affect the Belize tourism industry. Carnival had attempted to implement policies that would allow only boats with a capacity of 150 passengers and more, to transport passengers from cruise ships to the mainland for tours and other activities. Local boats that provide these services have a capacity of 100 passengers and this policy would have put the Belize boat owners out of business. M.A. Romero is a Belize based writer and photojournalist and Managing Director of Belize.com Ltd. The company's main web site is at www.belize.com. The government need to fight for the rights of our people. 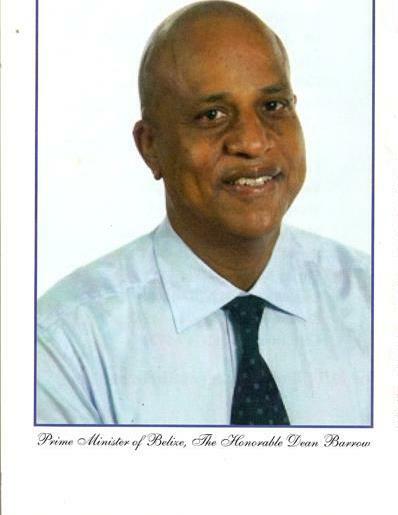 Belizeans are loosing control of Belize slowly because of all the land and businesses being sold to the highest bidder. Belize is all privatized now. I know we're in a recession right now but, they need to put their heads together and strategically work together and save what we still own. I am not a politician by no means, and I'm not saying the prime minister and cabinet is not trying, but try harder to save what we have and quit with the selling. It gets a bit frightening and frustrating when I go home and talk to people and hear some of stuff that is going on. We would appreciate you NOT lifting our copyright material and re-printing without our permission on your blog. You may reprint the first paragraph only, and thereafter link to the full article if you wish. We will monitor this site for compliance with our request. Managing Director - Belize.com Ltd. Thanks very much for informing me. I will comply fully with your request. So sorry, and if I need to in the future will reprint the first paragraph or get your full permission. I am in no way trying to take credit for your well researched or hard work writing your articles. I always post this statement after re-printing your articles: "Source or Via belize.com or M.A. Romero is a Belize based writer and photojournalist and Managing Director of Belize.com Ltd. The company's main web site is at www.belize.com". Please let me know if you would like me to remove your articles.